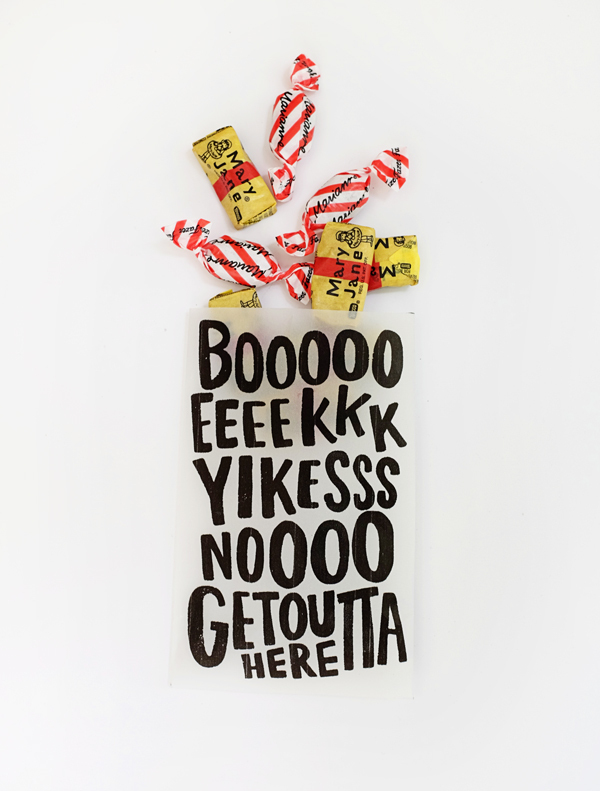 Looking for a simple new trick o’ treat bag for Halloween this year? Look no further! 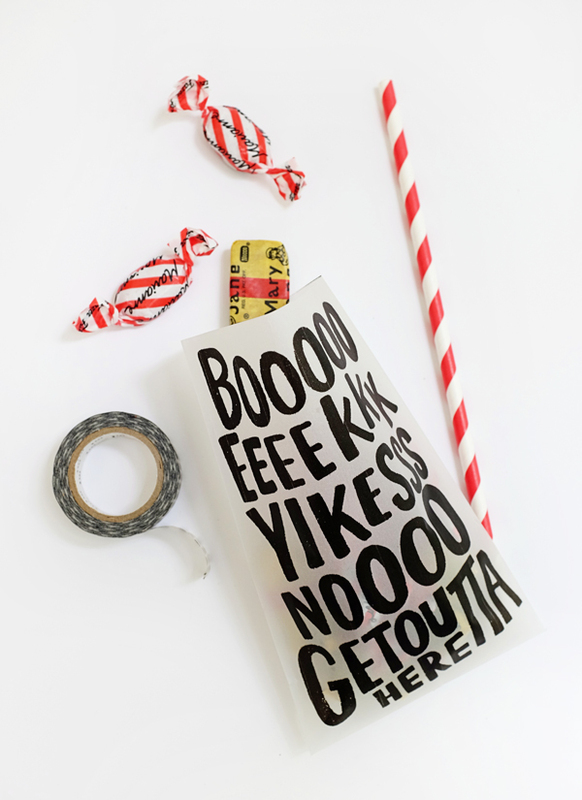 This printable spooky bag is the easiest thing to make. 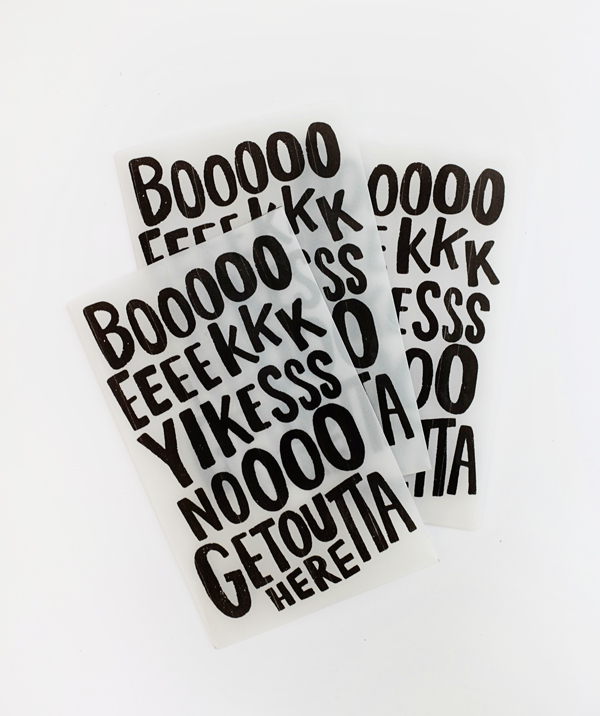 Simply print out the template onto velum, fold according to the marks, and seal with some tape! 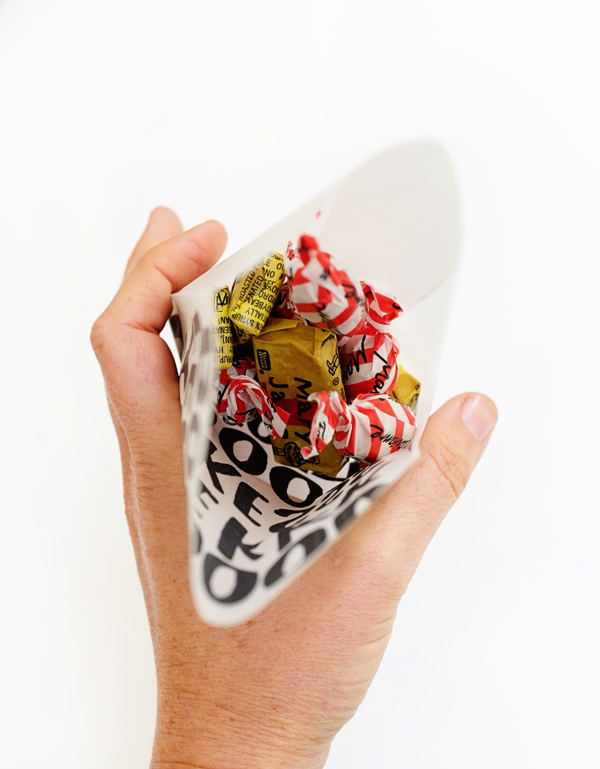 Pack these bags with some fun colored candies. 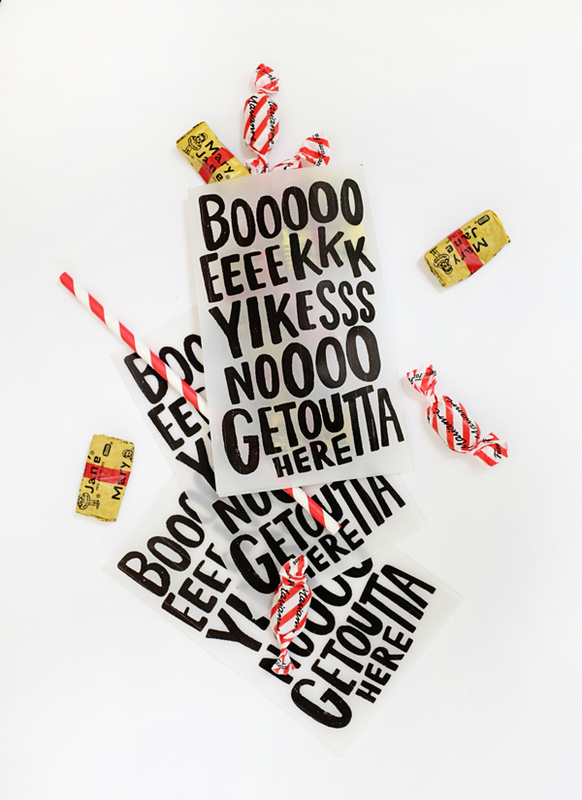 If you want the treats to be a spooky surprise, then print on regular white or colorful paper. 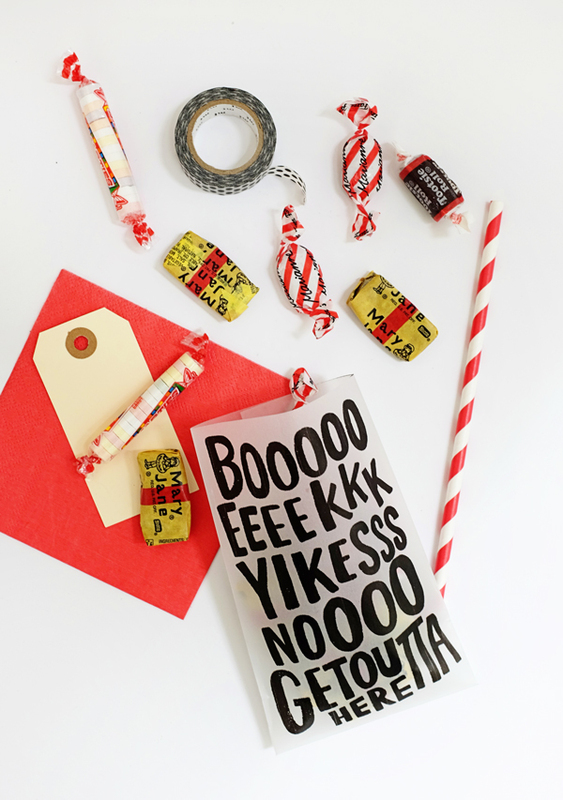 Where do you find all of this fabulous candy?!? Loving all the posts… Always! These are so cute, such a great idea – thank you for sharing!